It’s getting to be that time of year when I start thinking about what to put in my children’s Easter eggs. I’m always on the lookout for fun and frugal ways to fill Easter eggs instead of with candy and cheap toys. 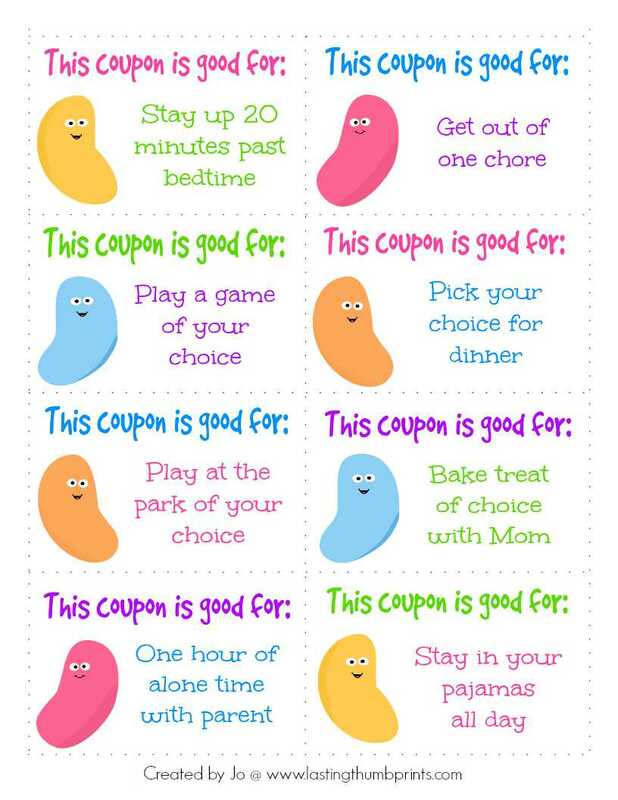 Our children have always enjoyed receiving special coupons as gifts, so I put together these free printable Easter coupons for my kids. We don’t do traditional Easter baskets, but we do usually have a small family Easter egg hunt for fun. 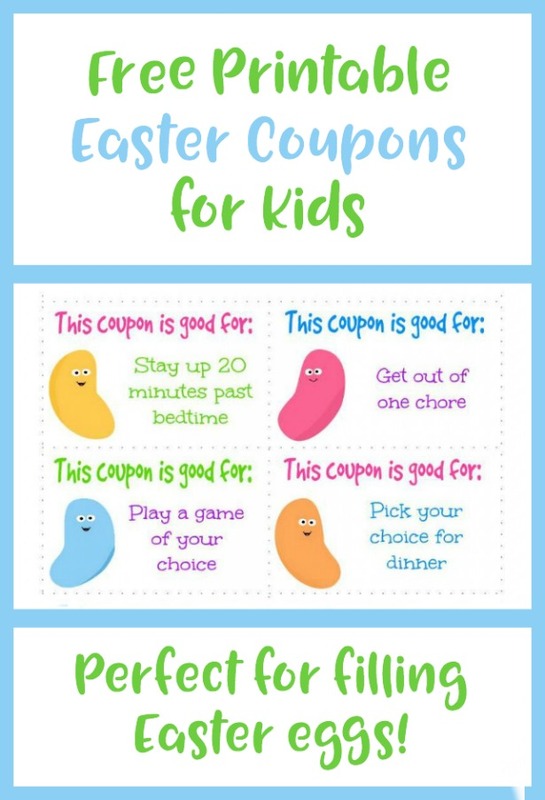 There are a total of 16 free printable Easter coupons in the set, 12 with the activities already chosen and 4 blank coupons to add an activity of your choice. Each coupon is approximately 4 in. x 2 1/2 in. The jelly bean clip art came from MyCuteGraphics.com. The majority of the activities are simple and don’t cost a thing. And I know my kiddos will love these! You can download the free printable Easter coupons by entering the information below and subscribing to the Lasting Thumbprints newsletter. If you’d like to find more cheap ways to fill Easter eggs for kids click here! Previous Post: « Easy Family Fun Pack – Activities for the Whole Year!